RIT popularly known as Ramaiah Institute is ranked among top 10 engineering institute in Bengaluru city of Karnataka state. This college is functioning under the sponsorship of Gokula Educational Foundation and was established in the year 1962. This autonomous college was aims at enhancing the skills of the students be delivering the quality education that would be accepted all over the world. This institute creates a conductive learning environment to deliver professions to the global market. The institute focuses majorly on the educating students to enhance the skills and motivation towards technology. The college inculcates international teaching methodology crafter according to the course curriculum. Placements at Ramaiah institute are excellent. 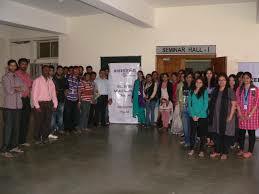 Students at this institute are been placed in top notch companies like ABB, HCL, Amazon, Infosys, etc. Previous year more than 100 companies visited the campus and more than 80% of the students were placed in top companies. This college has collaboration with various private institute offering scholarship opportunities to the students studying in this institute. Students are even provided with loan opportunities to provide them with financial assistance to seek their dream career. The below tables consist of entrance exam cutoff’s for B.E and MBA course with specializations. Hostel fee at Ramaiah Institute are affordable and will be changed every year. The hostel fee excludes mess charges. Facilities at this institute are good, need and clean. The rooms are based on twin sharing and triple sharing basis. Aspirant should have cleared HSC examination with 50% aggregate marks and secured 50% in PCM subjects as well. Candidate should have three year bachelor degree with at least 50% marks (45% for reserved category. Minimum criteria student should be graduated in relevant stream with 50% aggregate marks taken Mathematics/CSE/Statistics/Business Mathematics or any relevant subjects taken together. 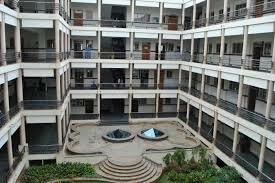 MSRIT is a well-known college located at Bengaluru. Being a localite I can tell that this college is the best for any academic study. The faculties hired by the institute are highly qualified and the staffs are friendly. I never stayed in hostel as I live nearby but I had few friends who stayed in hostel and they were very happy with their hostel experience. The placement at this college is outstanding and top companies like Accenture, Cognizant, Dell, Deloit, etc. visit eth campus to hire the students. MSRIT is autonomous college. According to the requirement of industry and global changes every year academic syllabus is changed and improved. 2 Projects and three internships are compulsory during the four year engineering period. Excellent and reserved category students are provided with Scholarship from Government and alumni association. Experienced Ph.D professors are very helpful in the campus. Some faculty members have 14-15 yr experience also. Method of teaching by the each lecturer is very unique like they materials to explain and teach students through presentation also. Ratio between faculty and ratio is very good. Faculty members are very helpful towards poor students. 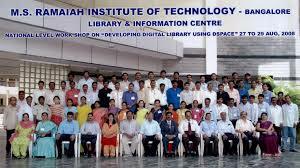 Ramaiah institute of technologies former name MSRIT, one of top college in bangalore . Infra wise this college keep constructing new new building. modern infrastructure with latest lift. 10-12 floor building. Placement wise this college is very good recently i came to know with juniors that 35 lasck package some one got. Even companies like to visit this college for placement. 1st year fee structure for Computer Science Engineering is approximately INR 140000/- per annum. 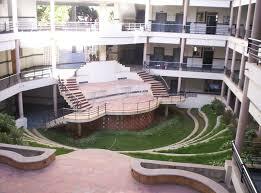 Fee structure for Mechanical Engineering at Ramaiah College is approximately INR 5.5LPA. Aspirants will have to attain a valid score in the qualifying examination to seek admission in this prestigious institute. May i known the fee structure fro B.Tech course?? Fee structure for B.Tech course at Ramaiah College is approximately INR 550000/- for the complete course. Mca lateral entry 2 years fess structure how much please tell me sir details? What is the management fee structure of MBA for 2 years.? What is the management fee structure of MBA for 2 years?? Are you Interested in " Ramaiah Institute of Technology"? Please provide the following details.